You are here: Home / Faith / Is Hurricane Sandy an “act of God”? 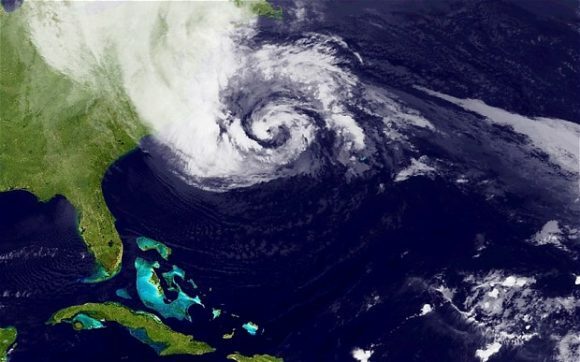 Is Hurricane Sandy an “act of God”? Hurricane Sandy has been called many things: Superstorm, Frankenstorm, Mammoth storm, and Monster storm. This should not be surprising because it has been happening for, oh, all of history. In the ancient world, a natural disaster or an act of God was an act of judgment. And in the modern world, even with the advent of advanced geological and meteorological sciences that do their best to predict and explain natural phenomena like floods, earthquakes, or hurricanes, a natural disaster is still seen by many to be an act of judgment. Therefore, whenever these catastrophes come every few years, we see radical groups like Westboro Baptist Church and preachers like John McTernan pronouncing the devastation as judgment on the world for issues such as gay marriage and abortion. This is nothing new. Similar language was used for 9/11 and hurricane Katrina. However, God’s action in the world is far from simple and issues surrounding theodicy are not going anywhere any time soon. Like many, I don’t think it is helpful or necessary to equate the will of Mother Nature with the will of God, and I also don’t think this means that God is absent or uninvolved in the world and in our lives. So, let us not simplify the things of nature, whether it is a disaster or a miracle, more than it needs to be. The problem of evil in this world is always going to be in tension with God’s goodness. Therefore, we should not deny the reality of evil to emphasize the goodness of God, and we should not deny the goodness of God in the face of evil.